The situation is getting acute in Luhansk oblast due to the upcoming winter. The number of internally displaced people (IDPs) is increasing. People are coming to northern cities and rayons of the oblast having no work or place to live. 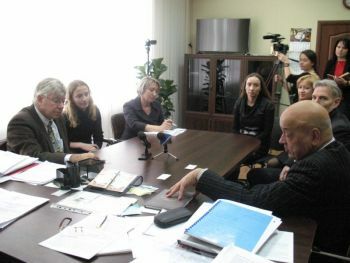 «We ought to do everything possible for UN humanitarian missions and projects to reach quick results in addressing current oblast needs and to assist region’s early recovery”, said Mr. NealWalker, United Nations Resident Coordinator and UNDP Resident Representative in Ukraine, during his visit to Luhansk oblast. Mr. Neal Walker visited factory “Proletariy” in Lysychansk city – a unique enterprise which produces energy saving glass. Currently EU/UNDP Project “Community Based Approach to Local Development” (CBA) assists early recovery of the factory. During the meeting with the Head of Luhansk oblast state administration Mr. Hennadiy Moskal, Mr. Walker discussed the ways of UN support to Luhansk oblast and also further perspectives for cooperation for the next several years. 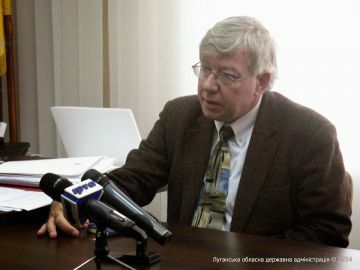 «Any support and all UN missions are welcomed, the same as the project implementation in Sieverodonetsk. Now it is time for quick actions», stressed the Head of Luhansk state administration Hennadiy Moskal during the meeting. It was agreed to further cooperate for sustainable local development and jointly address the issues of IDPs from south-eastern Ukraine. Luhansk oblast was badly affected from terrorists’ bands. Since the beginning of anti-terrorist operation about 4,5 thousand objects of social infrastructure, housings were destroyed. To recover them will cost tens of billions dollars. On the liberated territories there are lots of ruined industrial objects, schools, kindergartens, health posts and social infrastructure objects. UNDP jointly with European Union supports Luhansk oblast since 2007. In terms of CBA Project 117 microprojects were successfully implemented in Luhansk oblast in total (out of them 62 microprojects were implemented during the second phase), about 100 community organisations were created. Since then living conditions of about 100,000 people have improved.